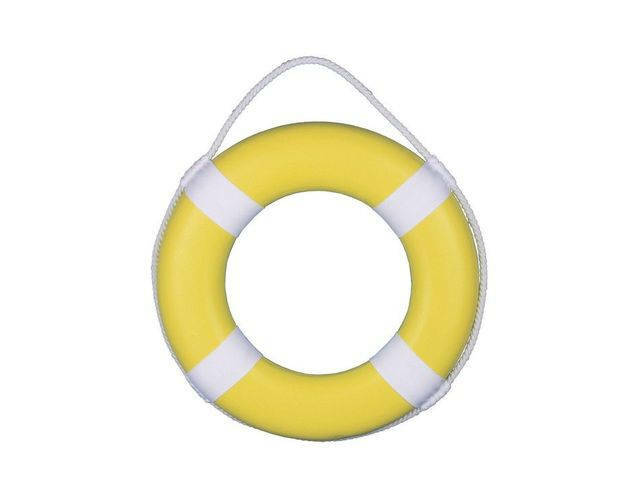 Yellow Painted Decorative Lifering with White Bands 15"
Our Yellow Painted Lifering with White Bands 15" is the ideal piece to create that soothing ocean mood in any home or office. This bold solid colored lifering, compliments the white band around the lifering. Transform any room into a seaworthy experience without the water. Give as a nautical gift or hanging prominently on your wall to let guests know that you have an affinity for beach decor.